The last line of the chorus has the most chords in it so we'll use that as our example. Swap the letters out with the chart above and you get E/G# A E/B A/C# E/G# Bsus E A/E. You already know this from our lessons but a slash chord = Chord/Bass note. While you may be familiar with thise already, let's look at the shapes you could use. Take special note of which strings are open and which are muted. Keep in mind that if some of the voicings are tricky, you can usually get away with just playing the basic major or minor depending on the chord. It's not ideal but it will work in a pinch. Next week I'm taking on God My Rock. 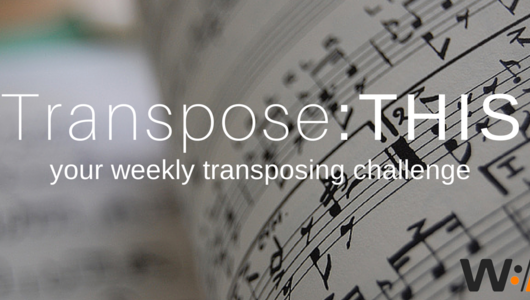 What other songs do you want to see transposed? Thank you for clearing this one up for me and the reminder of the slash chords and how to treat them!